Fortune Forum, as an umbrella charity, does not implement its own charitable programmes but works as a profound enabler in helping charities scale up their work. Since our founding in 2006 we have directly assisted over 50 charitable organisations by giving them opportunities to raise profile and funds from our network through participating in our events (see Participating Non-Profits page). This is however woefully inadequate to reach the billions of people who are being left behind battling poverty and stigma. So in 2008, acting as a catalyst, FF Policy Advisor Sir James Mirrlees (M) and FF Founder Renu Mehta (M) devised a set of Government policy recommendations, the MM Proposals in their joint pursuit of dramatically increasing the volume of aid, optimizing its effectiveness and by applying appropriate accountability of these funds. Our pivotal influence on the genesis of UK Aid Match has spawned more than £200m of funding for trusted charities which is on its way to impacting nearly 100 million lives across the globe. We can see the impact that the DFID’s UK Aid Match scheme has directly made to the beneficiaries who were supported by the participating organisations that received the matched funding. Below is a breakdown of which NGOs received funding and the human impact this has made across the globe. Born to shine was an entertainment programme on ITV in 2011 which featured celebrities being tutored by talented youngsters in a whole new skill, before being put to the test live on the born to shine stage. • In Liberia, the funds will help to support up to 91,135 women and children in the country in accessing healthcare. • Ex- International development secretary Andrew Mitchell MP "The British Government is matching pound for pound these public donations for projects in developing countries, so that Save the Children's lifesaving work can go twice as far." Christian Aid received £5,000,000 in funding from the DFID UK Aid Match scheme.This funding contributed directly to work with 29 local partners across eight different countries (Myanmar, Democratic Republic of Congo (DRC), Ghana, Sierra Leone, South Africa, Sudan, South Sudan and Zambia).This has helped to reach 349,728 beneficiaries in key areas of livelihoods and access to essential services (health, sanitation and education). 154,986 of these beneficiaries in (Myanmar, DRC, Ghana, Sierra Leone, South Sudan and Zambia) were directly supported through our livelihoods interventions in line with the Resilient Livelihoods framework.The Resilient Livelihoods framework is designed to help vulnerable communities and the organisations working with them to understand and man-age the range of risks they face – from immediate shocks such as floods or crop failure, to long-term trends such as climate change or social exclusion.It also aims to empower poor women and men to move beyond survival and make the most of opportunities to improve the way they make a living. We believe that combining resilience and livelihoods work will foster communities that are both thriving and sustainable. 194,742 beneficiaries in (Myanmar, DRC, Sierra Leone, South Africa, South Sudan and Zambia) were supported to access to essential health services such as; HIV prevention, treatment and care, gender-based violence psycho-social support and general increased access to education. Opportunity International provides access to savings, small business loans, insurance and training to more than four million people working their way out of poverty in the developing world. Clients in over 20 countries use these financial services to start or expand a business, provide for their families, create jobs for their neighbours and build a safety net for the future. • 10,409 Entrepreneurs & 524 farmers have received loans and training. Access to these branches, loans and savings accounts is enabling people in southern Malawi to work their way out of poverty. Thousands can now feed their family and send their children to school thanks to improved financial security from their growing businesses and increased incomes. In 2012 Opportunity International also received UK government Aid Matching of £2,105,996 leading to overall donations of almost £4.4 million with private contributions.These finances will help to build upon the work Opportunity International is currently doing in Malawi extending it to projects in 5 other Sub-Saharan African countries; Ghana, Uganda, Tanzania, Mozambique & Rwanda. This will help to provide greater access to financial services and financial management training for farmers and small businesses, in particular services aimed at helping women, youth and the rural poor. Sightsavers works to combat blindness in developing countries, restoring sight through specialist treatment and eye care. Sightsavers also supports people who are irreversibly blind by providing education, counselling and training. Helping the people who need it most- those living in poverty in some of the world's poorest countries. The UK Aid Match scheme granted £841,486 to Sightsavers which aims to use the funds to improve eye health services, and support for visually impaired girls and boys to go to school. The funds will be used flexibly, for example for treatment of early stages of trachoma for 1.6 million children, or to screen more than 0.55 million children for refractive error and provide them with spectacles. Comic Relief is a major UK based charity which drives positive change through the power of entertainment. In 2012 Sports Relief received £10.5 million from the UK Aid Match scheme to help combat the growing problems in the slum areas of Freetown, Cape Town, Kampala, and Lusaka.Every day across Africa, thousands of people desperate to escape poverty in rural areas move to the city hoping to find a job, but without the means to pay city rents. Most are forced to live in already overcrowded slums without access to even basic services. This money will help to people living in grinding poverty in urban slums across Africa by helping to provide clean water, toilets and basic health care. It will also make sure that kids get a better education and create real jobs so that families can finally work their way out of poverty. Slum dwellers will also get the legal rights they need to build or rent their own stable houses instead of living in fragile tin shacks. 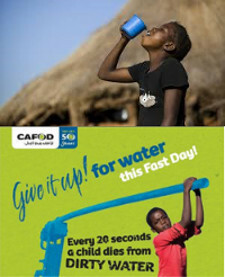 CAFOD is the official Catholic aid agency for England and Wales. It works with partners across the world, wherever the need is greatest, to bring hope, compassion and solidarity to poor communities, standing side by side with them to end poverty and injustice. CAFOD works with more than 500 partners overseas, and with partners in the UK- all working to reduce poverty, working for a safe, sustainable and peaceful world. CAFOD gained £9,189,714 in funding from the UK Aid Match scheme. £7.6m of this was used to improve access to potable water, sanitation and water re-source management. As a result 276,000 people gained improved access to water, 134,000 people received improved sanitation, 62,000 people received better water resource management and 226,582 people gained access to hygiene promotion activities. Some individuals benefited from increased access to two or all three of these WASH (water, Sanitation & Hygiene) elements. £1.6 million of the UK Aid match scheme was used to improve governance of eight Sub-Saharan African countries (details to be developed). Trócaire is the official overseas development agency of the Catholic Church of Ireland.It works with some of the world's poorest people supporting communities and delivering long-term change to people's lives. In Ireland, it helps to raise awareness about the causes of poverty through our outreach programmes in the education sector, through parish networks, and through its public campaigns and advocacy work. 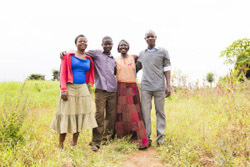 The 2012 Lenten campaign received £900,000 from UK Aid Match, which was used to promote sustainable livelihoods and land rights promotion in northern Uganda, directly benefiting 48,000 people. An estimated 140,000 people will benefit indirectly from information on land rights and training on food security 70,000 attributable to match funding. Soccer Aid started in 2006 as a brainwave of UNICEF UK ambassador Robbie Williams. Every two years two teams of celebrities and football legends from England and the Rest of the World play a match to raise funds for UNICEF and change the lives of children around the world. In 2012 a severe drought hit the semi-arid Sahel region of West and Central Africa, producing wide-spread crop failure, loss of livestock, and soaring food prices. One million children were at risk of severe malnutrition. 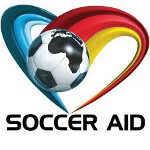 UNICEF UK received £2,300,000 in UK Aid Matching for their 2012 soccer aid appeal. The money raised by soccer aid 2012 provided food, vaccines, and other critical supplies for children. It also assisted in building community resilience to disasters including those areas affected by the emergency in Sahel. Overall this lead to improved health and nutrition for children in the Sahel region of Africa leading to reduced child mortality rates. By the end of 2012, UNICEF and partners had provided life-saving treatment for 850,000 severely malnourished children in the Sahel region.UNICEF helped to increase the number of health facilities providing nutrition services from 3,100 to nearly 5,000. In addition, 1.9 million children were vaccinated against measles and 7.3 million families received mosquito nets to prevent malaria. The Big Dig project undertaken by WaterAid has brought clean, safe water, sanitation and hygiene intervention to 134,000 people in rural Malawi. The UK Aid Match scheme raised £1,204,360 for WaterAid, along with private contributions, helping to successfully build 34 new boreholes, 43 shallow wells, 20,500 latrines in homes and schools as well as helping to train 2,160 hygiene educators in the two villages of Bokoal and Kaniche. World Vision works with children, families and communities to overcome poverty and injustice. By 2015 the objective is to transform the lives of eight million children worldwide with the help of 500,000 supporters in the UK. 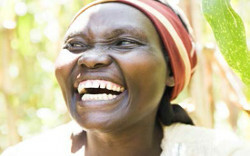 World Vision received £367,458 in funding from the UK Aid Match scheme. This funding along with other World Vision donations aims to support people affected by the 2012 Sahel Food Crisis in Niger, Mali and Senegal. It will help to provide food aid and build community resilience to future food insecurity for 29,000 people affected by the crisis. Riders for Health is an international social enterprise. 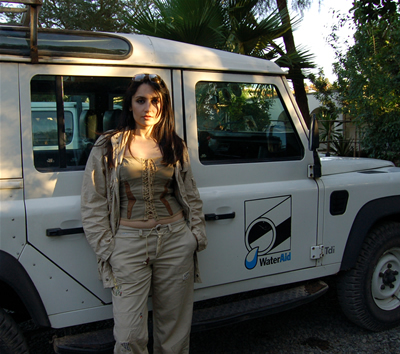 They manage and maintain vehicles for health-focused partners in sub-Saharan Africa. Having expertise in transport management enables health workers to deliver vital health care to rural communities on a reliable and cost-effective basis. The Riders for Health programme enables health workers to not only see nearly 6 times more people, but it also enables them to double the amount of time they spend in each community. 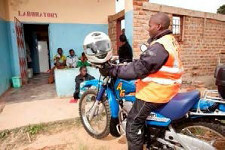 The programme received £317,385 UK Aid Match funding which aided the training of 84 health workers to ride and maintain motorbikes, enabling them to deliver health services across 7 different Sub-Saharan African countries; Kenya, Lesotho, Malawi, Nigeria, The Gambia, Zambia & Zimbabwe. This is expected to increase access to healthcare for over 650,000 people; developing strong relationships between individuals and their health service providers. Islamic Relief strives to alleviate suffering, hunger, illiteracy and diseases world-wide without regard to colour, race or creed and to provide aid in a compassionate and dignified manner. Islamic Relief received UK Aid Match funding of £5 million; along with private donations, funds from Ramadan appeal 2012 went to sup-port a wide range of projects around the world, with a particular emphasis on strengthening communities to resist the impact of climate change. In addition funds were directed to help to improve food security through livelihoods, water and sanitation, with specific focus placed on Niger, Bangladesh, Kenya, Yemen and Pakistan. READ (Rural Education and Development) Foundation aims to implement educational and welfare projects and has the largest non-governmental network of schools in Pakistan and Kashmir with 78,000 children en-rolled into schools. 70% of these children are at primary level and there are also 8000 orphans in primary education that would never have had the chance to go to school without this support. The 'School Enhancement Programme' or SEP is one of our core projects and ensures schools are upgraded and maintained to a certain level in order to provide children and staff a good learning environment. 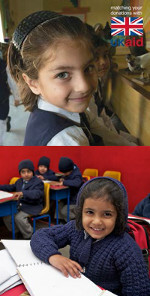 The Adopt a school programme received £281,177 in UK Aid Match funding; combined with private contributions READ was able to improve school facilities, equipment and sanitation in the Kashmir region of Pakistan and provide training for teachers and other school staff. The funds have directly benefited 10,792 children, of which 4,618 are girls and 6,175 are boys. It also led to the successful creation of 27 teaching vacancies 12 of which are male and 15 female. Promoting Equality in African Schools (PEAS) is a UK based charity that aims to unlock the potential of Africa by delivering equal access to affordable, quality secondary school education. PEAS help to develop secondary schools which con-tribute to long-term societal change, poverty reduction and the empowerment of young people in Zambia and Uganda. The Progressive Media Group appeal in 2012 received £621,893 from the UK Aid Match Scheme. This funding will increase access to relevant, quality secondary education to children from poor communities in Uganda. Specifically the match funding will provide over 22,000 new places in an additional 32 schools in Uganda over the next three years. •The number of children enrolled in improved quality PEAS secondary schools up 16,060 with UK Aid Match. •The number of teachers trained in new teaching and learning methodologies up 614 with UK Aid Match. Retrak works to transform highly vulnerable children's lives; preserve families; empower communities and give each of them a voice. Enabling street children to move from a life of vulnerability, exclusion and poverty living on the streets to a life within a positive family or community where all household members are healthy, emotionally well, safe, educated and trained and economically dependent. Retrak currently works in four countries; Uganda, Ethiopia, Kenya and Tanzania. Through the UK Aid Match programme Retrak's ZERO Appeal received £187,716. This additional funding will help to provide individual support to over 2,800 street children and their families in; Uganda, Kenya and Ethiopia. This includes helping children to return to their families or to support themselves away from the streets. ACF International (Action Against Hunger) is an international humanitarian organisation committed to ending child hunger. Recognised as a leader in the fight against malnutrition, Action Against Hunger saves the lives of malnourished children while providing communities with access to safe water and sustainable solutions to hunger. The Love Food Give Food campaign united food lovers across the UK into taking action against hunger. Restaurants, food producers, bloggers or simply those that love to cook, can take a small action and make a big difference. 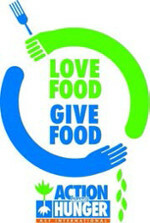 The Love Food Give Food campaign received £805,623 from UK Aid Match. This has led to improved access to food and nutrition for 100,000 people in Niger, Burkina Faso and Liberia. The campaign aims to benefit 40,000 severely malnourished children under 5, 48,000 children whose mothers or carers will receive training in good nutritional practices, and 12,000 vulnerable family members with children under 2 years old. Action Aid is a global movement of people working together to further human rights and defeat poverty, for all. Action Aid aims to make change happen by organising people at the community level as well as tackling the root causes of poverty injustices by tackling the international and national structures and systems that continue to reinforce extreme poverty. Action aid works with 13 million of the poorest people in over 40 countries, giving them the power and resources they need to change their own lives for the good. Action Aid's 2012 Ready for Anything appeal received UK Aid Matching of £1,361,150; the money raised will go towards disaster preparedness programmes across countries including Malawi, Burma, Afghanistan and Nepal, working with communities to reduce risks to their livelihoods and improve food security. The UK government has matched all public donations pound for pound to the UNICEF Halloween ball 2013; the event raised an incredible £1m. The UK government has pledged to match pound for pound donations to UNICEF's Syria appeal over the next three months, this has helped the campaign raise over £6.4m for the children of Syria. UNICEF is one of the first charities to receive funding from the second round of the match funding initiative. UNICEF has been working around the clock in Syria and the surrounding countries to provide children with clean water, food and medical care. To date it has given more than 10 million people access to safe water and provided psychological support for nearly 470,000 children. In November 2013, in partnership with Clear Channel, an innovative outdoor advertising agency, Prudential and the UK government, Opportunity International launched their Spirit of Opportunity appeal. With the UK government's pound for pound matching, over £4.5 million has been raised to help improve the lives of the poorest people of the Democratic Republic of Congo. Opportunity International will create jobs, provide financial services and help get small businesses off the ground in the DRC. The UK government has pledged to match pound for pound the first £5 million donated by members of the public to the DEC Philippines Appeal. The DEC (Disaster Emergency Committee) brings 14 leading UK aid charities together to respond to crises around the world. The current members to the DEC are; ActionAid, Age International, British Red Cross, CAFOD, Care International, Christian Aid, Concern Worldwide, Islamic Relief, Merlin, Oxfam, Plan UK, Save the Children, Tearfund and World Vision; all collectively raising money to reach those in need quickly. Typhoon Haiyan was the largest tropical storm to ever make landfall anywhere in the world, at 300 miles across. Around 4.3 million people have been affected by the storm, leaving more than 600,000 people displaced from their homes with an estimated 10,000 dead. The £5 million match fund will help to provide emergency shelter, clean water and food. Practical Action is an international NGO that uses technology to challenge poverty in developing countries. Through technology we enable poor communities to build on their skills and knowledge to produce sustainable and practical solutions – transforming their lives forever and protecting the world around them. Urban poverty is a growing problem and women and children suffer the most. Every day, children are born into urban poverty, with no access to basic services such as safe clean water, safe toilets, or opportunities to access education to break the cycle of poverty. 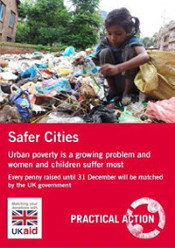 The UK government is supporting Practical Action's 'Safer Cities' appeal to do more work improving the lives of slum dwelling communities. The UK government will match your donation pound for pound and help us to reach more vulnerable families living in cities in Nepal and Bangladesh. The campaign aims to raise £200,000 by 31 December 2013. The GAVI Alliance supports developing countries to make important progress in introducing life-saving vaccines. 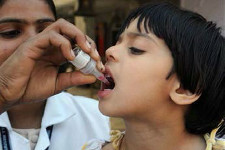 By working with a wide range of partners such as- WHO, UNICEF, the World Bank, The Bill Gates & Melinda Gates Foundation, donor governments, developing countries, international development and finance organisations and the pharmaceutical companies GAVI works to reduce dramatically the amount of children without access to basic vaccines. The GAVI Matching Fund is a major private sector programme designed to raise US$ 260 million for immunisation by the end of 2015. Under the initiative, the UK Department for International Development (DFID) and the Bill & Melinda Gates Foundation have pledged about US$ 130 million combined (UK£ 50 million and US$ 50 million, respectively) to match contributions from corporations, foundations, their customers, members, employees and business partners. This will allow GAVI to deliver more life-saving vaccines to the lowest income countries. Healthy children lead to healthy communities and healthy societies. DFID's pledge of £50m to the GAVI via the matching fund has directly benefited over 15 million children with life-saving vaccinations. Well publicised charity brands that are communicated effectively with high profile media coverage are best able to generate giving habits. Continual brand awareness therefore strengthens a charity’s ability to fundraise in order to support their ongoing and vital work. Fortune Forum has benefited from the reach and impact that celebrity activists' participation has brought to extend the advocacy to multiply awareness at the global and political level. This has also stressed urgency to policy makers and our members thus keeping these global issues high on the development agenda. The second Fortune Forum event was supremely successful in terms of raising awareness for the supported charity causes. The coverage generated by the event reached a global audience just short of one and a half billion or a quarter of the World’s population. Coverage that would have cost in excess of sixty million pounds well beyond the annual combined advertising budgets of the charities. A room filled with the movers and shakers of UK philanthropy were comprehensively briefed on the charitable causes sowing the seeds for future partnership whilst their presence helped fuel global media activity only surpassed by Band Aid and Live Aid in terms of charitable events. The Fortune Forum also represents the only major charitable event where so many major charities work together outside of disaster and emergency relief when the aid agencies group together under the Disasters and Emergency Committee umbrella for collective fundraising. The unofficial expected coverage for the event was a staggering 1 billion people a sizeable increase on 2006, the end result was a gratifying fifty percent higher, firmly establishing the Fortune Forum as a global brand for campaigning and awareness raising. The Fortune Forum can now in the future build on this established brand status to act as a force for change moving on from awareness raising to creating a real movement for change and good that world leaders will have to listen to. Fortune Forum is now probably the leading name in combining the clout of the rich, the allure of the celebrity and the power of the media to generate a brighter tomorrow. This pioneering platform has supported life-giving projects through the work of our charity partners; British Red Cross, Cancer Research UK, WaterAid, African Renaissance, Alliance for the New Humanity and International Clean Energy (ICE) Circle. Combined AVE for all the charities to have purchased equivalent advertising is £63 million, more than Comic Relief and Children in Need combined indeed more than any event other than Live 8 or LiveAid. The first Fortune Form event on 26th September 2006 achieved massive global media coverage for the participating charities and the causes they espouse. Coverage in print and broadcast form had the opportunity to be seen by over 300 million people globally, more than the combined population of the UK, France, Germany and Spain. A complimentary copy of “The Fortune Forum Code”, a book extolling the basic needs of humanity, and how to achieve them, was distributed to over 500 of the most influential members of UK society at the event. The same group of influentials were exposed to the individual work and achievements of the participating charities during the event. The participating charities were all also able to showcase their work and network with some of the leading media moguls in the UK and beyond who were present on the night. This networking opportunity has assisted the charities in achieving further media success via these contacts. Carrying stories relating to the Fortune Forum and the attendant celebrities such as Bill Clinton have also generated increased traffic to participating charity websites as they are flagged up as a place to go for information on particular celebrities. This increased web traffic will have also promoted increased web donations as well as brand awareness. As part of the world’s leading crisis response organisation, the British Red Cross is an important part of emergency service plans throughout the UK. It works in partnership with local authorities, police, ambulance and rescue services and it is a responsibility of the Red Cross to supplement the work of these services in an emergency. In the event of a catastrophic incident many patients at local hospitals are discharged early to release beds for those seriously injured in the incident. Red Cross ambulances carry people home allowing the ambulance service’s capacity to be wholly taken up bringing the victims of the catastrophe to hospital. They also work alongside the Ambulance Services at peak times when they have insufficient capacity. equestrian events, across the country providing first aid cover. which provides NHS Ambulance Service training. enable the British Red Cross to continue to fulfil its role in supporting the emergency services and local communities, both on a day to day basis and when faced with a large scale incident anywhere in the UK. 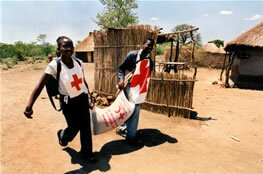 be able to respond to people’s needs in the event of any future emergencies. to people in communities throughout the UK. At the inaugural Fortune Forum Summit in London, six generous patrons purchased “Trees for Life” prizes. Each prize will fund the planting of 10,000 trees back into a threatened forest environment in sub-Saharan Africa. Without sustainable farming techniques, soil degradation forces people to practice shifting agriculture and continued deforestation. 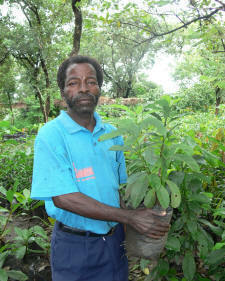 The forest established with the money raised by the charity auction for Trees for Life will be used to assist a Miombo forest community in central Mozambique to build sustainable livelihoods. Land-use change is at the heart of what is happening in this area - agroforestry, forest rehabilitation and the sustainable utilisation of timber and non-timber forest products. African Renaissance will be supporting an ongoing initiative that addresses food security issues, introduces cash crops and manages environmental degradation. 400 families in the Nhambita traditional community have embraced a programme to transform the way they use their natural resources. This programme involves a move away from shifting or “slash and burn” agriculture on 500 plots or clearings with subsistence crops planted on rapidly degrading soils to cash and high value food crops. Central to changing land use is tree planting and this typically means an additional average income of over $140 per hectare to the farmer from the sale of Voluntary Emissions Reductions (VER’s) carbon offsets (previous average annual income was $40 – 80 per annum) and an additional $35 paid into the community fund for the planting and care of trees on their land. Community members earning income and direct benefits from the project have surplus time for other income generating activities for the first time. to existing trees transforming them into valuable producers of fruit and nuts and reduces deforestation. Buying in the improved cultivars is expensive and beyond the means of most Mozambique farmers – producing them locally will make a difference. Authority in the buffer zone of the Gorongosa National Park in central Mozambique. of close to 65 0000 trees. replanting of specific high value species “high-graded” by illegal logging. 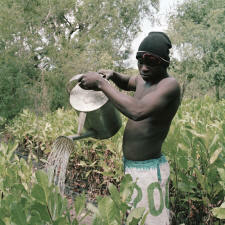 traditional methods trees grown from seed would only crop after 5-10 years. 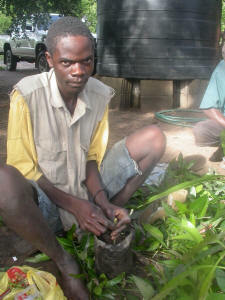 for improved cultivars exists within Mozambique. long term income for the community. to keep a field in fallow and increases yields. WaterAid were extremely grateful in our silver jubilee year to be involved with the inaugural Fortune Forum event, where generous bidders bought five water and sanitation lots. WaterAid is the UK’s only major charity dedicated to the provision of safe domestic water, sanitation and hygiene education to the world’s poorest people. Each lot represented the cost of delivering a sustainable supply of clean water, sanitation and hygiene education to a thousand people (including office overheads) in one of the 17 countries where we work. In Nepal there are four million people without access to clean water and 18 million lacking effective sanitation, globally the figures are 1.1 billion for water and 2.6 billion for sanitation. Now thanks to the compassion and contribution of Fortune Forum attendees those figures have been reduced by 5,000. WaterAid has now provided water sanitation and hygiene education to over 3% of the rural Nepalese population. An injection of new money at this time was also very important for Nepal as recent political developments have led to an end to the conflict that had hampered development work in previous years. them to escape a life of poverty and disease. instilling goodwill in those attending.